Sleep is a basic biological necessity—just like eating—and it has an impact on every aspect of your health and your life. Adequate sleep gives your body time and energy to recover from the day’s stresses, and helps you to stay sharp and focused throughout your day. Although it is common to have the occasional sleepless night, if you lack sufficient sleep on a regular basis, it is called insomnia. Losing sleep is certainly not something to be taken lightly, research shows that inadequate sleep can have disastrous effects on your weight loss efforts, impair your concentration, and even mimic the symptoms of impaired glucose tolerance (which can lead to diabetes and hypertension). Although you might not be able to control all of the factors that interfere with your sleep, you can adopt habits that encourage better sleep. This article will explain how to sleep better at night. You’ll be sleeping like a baby in no time! Go to bed and get up at the same time every day, even on weekends, holidays and days off. If you want to change your bedtime, help your body adjust by making the change in small daily increments, such as 15 minutes earlier or later each day. 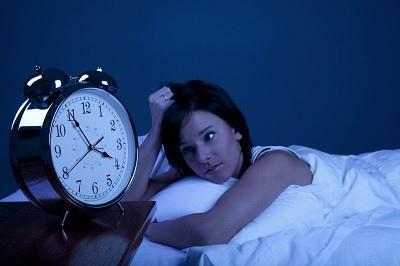 Eventually your body will get used to going to sleep at that time and it will begin to come naturally. A regular sleep routine keeps your biological clock steady so you rest better. For some people, and depending on work and your daily routine, a very short rest in the afternoon (the Spanish call it a siesta) could help alleviate the drowsiness some people experience during the day. But make sure not to oversleep! Long daytime naps can interfere with nighttime sleep — especially if you’re struggling with insomnia or poor sleep quality at night. Try to avoid napping in the late afternoon or evening, if you must nap, do it in the early afternoon, and limit it to thirty minutes. Digestion slows down at night, and a full stomach may interrupt sleep, so stop eating at least three hours before your scheduled bedtime. But a completely empty stomach may interfere with your sleeping patterns just as much as going to bed full. If you find that your stomach is grumbling for food and is keeping you awake, have a light snack about an hour before bedtime, avoid high-fat foods. Carbohydrate snacks such whole grain crackers before bedtime may help to promote sleep. Just be sure to stay away from sweets. It’s also important to note that caffeine can have a pronounced effect on sleep, causing insomnia and restlessness. In addition to coffee, tea, and soft drinks, look for hidden sources of caffeine such as chocolate, cough and cold medicine, and other over-the-counter medicine. Try to decrease your brain activity before bed by writing down your thoughts in a journal and closing the book on the day. Create a room that’s ideal for sleeping. Often, this means cool, dark and quiet. Sometimes a warm shower can relax your body and feel clean. Studies suggest that bath relax have good results in elderly (67-83) and younger (17-23), providing at least three hours of good rest with lower movements than without the bath. You can also try deep breathing, close your eyes, and try taking deep, slow breaths, making each breath even deeper than the last. Remind yourself that although they’re not a replacement for sleep, rest and relaxation still help rejuvenate your body. Certain herbs can help you relax and fall asleep. Valerian (Valeriana officinalis) is a herb that has been long used as a remedy for insomnia. Today, it is an over-the-counter insomnia remedy in Germany, France, Switzerland, Belgium, and Italy. Chamomile is also a popular herb that slows the nervous system, promotes relaxation, and relieve muscle tension. Some herbs may react with certain types of medication or cause adverse effects in individuals with liver disease, Parkinson’s disease, and pregnant or nursing women. Other liquids, such as a small glass of warm milk, may also help. However, if you toss and turn most nights, contact your doctor. Chronic insomnia can be a symptom of another condition, such as depression, heart disease, sleep apnea, lung disease, hot flashes, or diabetes, identifying and treating any underlying causes can help you get the better sleep you deserve.